I feared that Newcastle will provide very stiff resistance coupled with offensive capability. Demba Ba along with Ben Arfa and Oberton just behind provided an attacking threat in the first half that threatened to derail us. They were supported by a very combative central midfield which included Tiote and Cabaye. Add to that mix their manager Alan Pardew who,due to previous history with Wenger, always manages to create problems for us. And it looked like that when they got their goal. I knew then that we were in for a hard night. The main reason for that was Kieran Gibbs’ positioning. He was way out of position when Arfa received the ball and when he did get back into position he made the mistake of allowing Arfa on to his favoured left foot rather than directing him to the other direction. Gibbs has not been at his best since his come back from injury. His positioning in recent games has left a lot to be desired and the same has to be said of his attacking forays. He rarely gets round his man when he is forward and his rare crosses are not up to standard. I hope that with more games he will improve but it has to be said that due to the brilliance of all the other outfield players at the moment his displays stand out so much more. He is the weakest link now. And what brilliant displays we are all enjoying. Brilliant displays from new found leaders running down the spine of this Arsenal team. At the back Vermaelen has, since his return to the team but more importantly in his preferred position in the middle of the defence, been absolutely fantastic. A real leader in defence but also going forward for the dead ball situations as well of course committing to attack when required. In central midfield Arsenal have found their maestro. An orchestrator that this team has so obviously been lacking ever since Cesc departed and Wilshere vacated due to injury. Tomas Rosicky has provided determination, speed, forward passes and tenacity. A new leader in a very important area of the pitch. And of course RVP has been a leader since this remarkable season started. He leads from the front and this I think inspires the rest of the team to follow suit. If Theo keeps this level of performance then he will be another ‘leader’. And what a fantastic performance he put in last night. He was simply unplayable. The quality of the display, the pathos and work ethos of all the players and above all the quality that this team contains make them as good or even better as the two top teams in the League. There were many positive signs that emerged from last night’s encounter with Milan. Firstly the Ox gave a performance that was absolutely fantastic. For an 18 year old to have performed at such a high level of quality means that he along with Wilshere, Szczeny, Walcott and Song contain Arsenal’s hopes for a very bright future indeed. The Ox along with Song run the midfield. The Ox did everything but score. He defended tenaciously, spread the passes, went forward, took the corner kicks and won the penalty. What more could you ask for? We all castigated Wenger for buying another kid for so much money early in August. But now we are all eating humble pies! Szczesny, I consider the best goalkeeper in the Premier League after Friedle. He is better than Joe Hart and much better than De Ghea. His performance last night was almost faultless bar one clearance which put Gibbs in some bother. But the most significant improvement in Arsenal’s performances of late has been a change of tactics only made possible by one man. Tomas Rosicky doesn’t hang about. When he gets the ball the only thing in his mind is to turn and go forward. If there is an opponent in front of him then he will dribble round him. His passes are always forwards and direct. And the rest of the players follow suit. This makes Arsenal an infinitely faster team with a very high tempo. 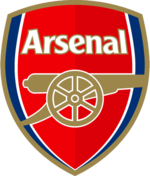 And the pressing that is put upon the opponent holding the ball by usually two Arsenal players acting as a hunting pack makes for a relentless approach that not many can live with. If only we had a more decent bench. We could have been challenging even for the title!